The Federation Of British Historic Vehicle Clubs (FBHVC) has released a summary of its latest round of extensive research into the historic vehicle hobby in the UK. 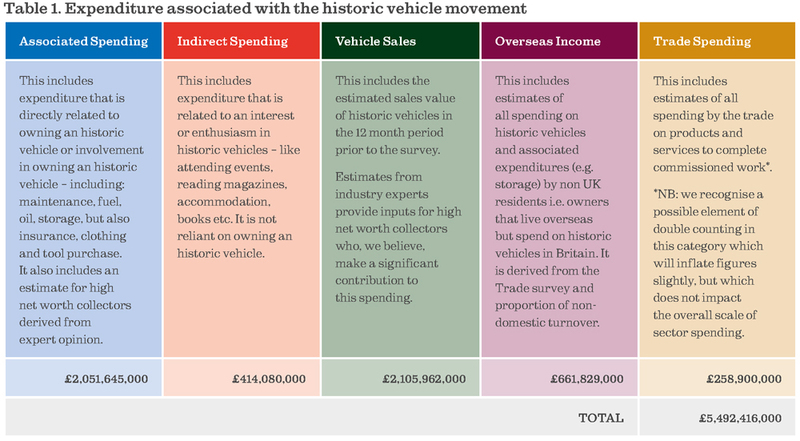 The last British Historic Vehicle Movement report was published in 2011 and found that the total contribution to the UK economy was £4.3 billion. In 2016 they found it to be worth £5.5 Billion – up 27.9% since 2011. 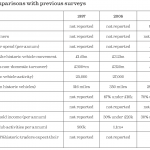 Overall they report wider historic vehicle ownership and a more active body of enthusiasts than before. In the foreword by Federation chairman David Whale, he states that “whilst we have enjoyed a period of low inflation the values of historic vehicles have risen steadily” and that enthusiasts’ “passion has become an investment”. The report covers all historic vehicles including cars, motorcycles, lorries, buses & coaches, military, agriculture & steam. 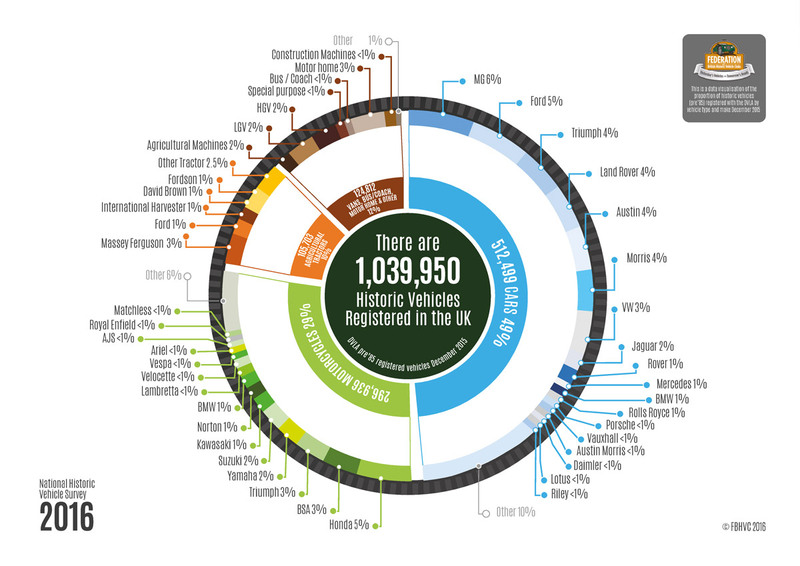 Using DVLA data they estimate that there are 1039950 historic vehicles in the UK with 58% registered for road use. Our own research indicates that there are around 750,000 classic cars in the UK. We spoke with Paul Chasney, Research Director of the FBHVC who explained the significant challenges involved in producing the research and pointed to the sample sizes of the opinion polls (over 10,000 people surveyed) which are larger than most UK electoral opinion polls. 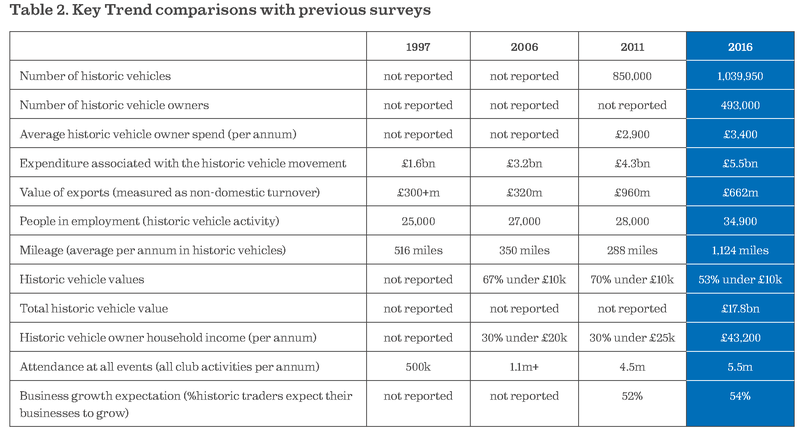 One of the main elements of the report was an omnibus survey designed to analyse public perceptions to historic vehicles and this revealed that 8 million (1 in 6) adults were interested in historic vehicles and 23 million see them as an important part of Britain’s heritage. Nearly half the UK population think historic vehicles should be preserved for people to enjoy in the future. 32% of adults think historic vehicles should be used. £662 million (25% of total industry trade revenue) was generated by exports of parts and services to international clients making the UK a worldwide centre of excellence for historic vehicles. 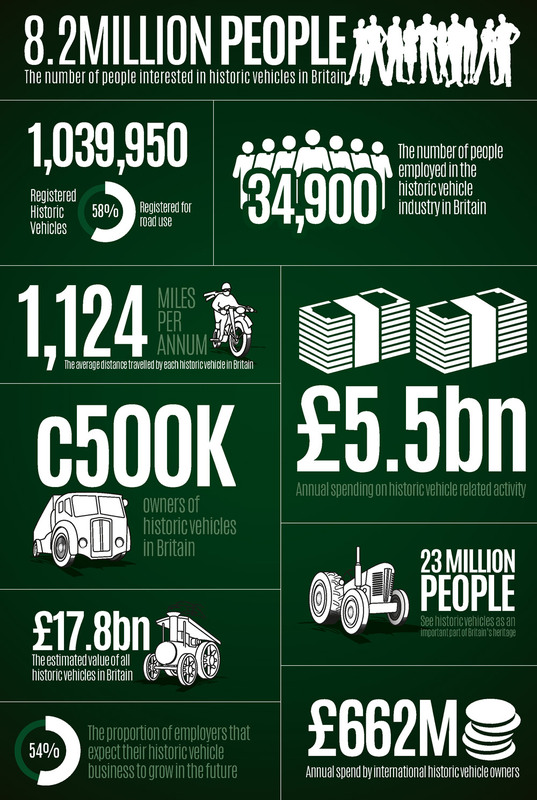 34,900 people employed in industry related to historic vehicles (up 28% from 28,000 in 2011). Percentage of historic trade business owners who expect their business to grow – 54% (up from 52% in 2011). 60% of employers in the sector concerned that regulation will present a problem for their businesses. 40% of employers struggle to find skilled staff. 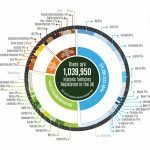 Estimated to be around 500,000 individual owners of historic vehicles. The report estimates that 65% of historic vehicles are in concours or very good condition – this is an area which we felt could be open to debate! The report estimates that there are 250,000 historic vehicle club members in the UK and that the internet is having a significant impact on clubs and how they engage with their members. Event attendance has exploded – from 500,000 in 1997 to 4.5 million in 2016. The FBHVC research estimates that £5.5 billion is spent per annum on historic activity in the UK (up 27.9% on the 2011 figure). 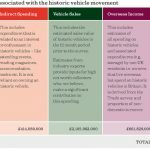 This includes sales of vehicles ( £2,105,962,000) to which they believe high net worth collectors make a significant contribution. The figure also includes overseas spend in UK ( £662m) and trade spend. 356 surveys undertaken by the trade. All the research information is produced with the kind permission of the Federation Of British Historic Vehicle Clubs.